The pictures really explain it all. These are the same basic foods, although one clearly is significantly bigger than the other. Just like the vast majority of pizzas around the world, deep dish pizzas feature a bread base topped with cheese (usually mozzarella), tomato sauce and herbs. Now, there are obviously plenty of pizzas that don’t have all of those ingredients and there are some decidedly non-traditional pizzas out there. Yet it’s only deep dish that gets called out with any kind of regularity. I’ve yet to see anyone actually try to formulate a coherent argument as to why deep dish isn’t pizza; usually there’s nothing more than a conclusory statement. Occasionally, people offer snippets of attempts at reasoning, all of which are easily rebuked. Deep dish is a casserole. 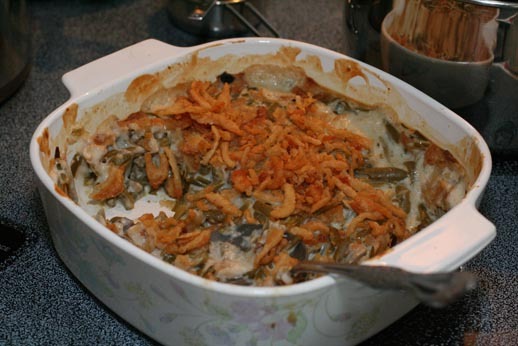 Casserole is a pretty broadly defined dish, but no reasonable definition includes deep dish pizza without making that definition an effectively meaningless phrase that includes anything cooked in a pan, including all pie, macaroni and cheese, lasagna, and a host of other foods that have their own separate categories. When we say casserole without any modifiers, what we generally mean is some kind of baked mish-mash of ingredients that often involves a condensed cream soup. And given that the “cooked in a pan” argument is seemingly never applied to Sicilian or bakery pizza, it can’t be considered a serious objection to deep dish. There’s too much cheese. This is a criticism of the style, an entirely different discussion from whether deep dish is pizza. Let’s start with the obvious – most deep dish pizzas don’t actually have that much cheese. But even if they did, just because a particular version of a food has a lot more of one ingredient than is typical hardly kicks that outlier out of the club. Can you imagine someone seriously saying a scoop of chocolate chip ice cream isn’t ice cream because it has too many chocolate chips? Second, I’m not sure how many of the people who make this argument even understand that deep dish and stuffed pizza are as different as deep dish and a typical New York slice. Stuffed pizza, introduced in the early 1970s at Nancy’s and Giordano’s (according to their respective websites), unquestionably has a lot of cheese. Now, stuffed pizza, for all the obvious and obscure reasons discussed in this article, is unquestionably pizza. But the frequent conflation of the two by the “deep dish isn’t pizza” crowd is Exhibit A in the ignorance of that position. The sauce is on top. Again, this is a stylistic criticism. And it’s one that doesn’t take into account the fact that putting the sauce directly on a crust and baking the pizza for 35 to 40 minutes (a necessity) would result in the pizza being a soggy mess. 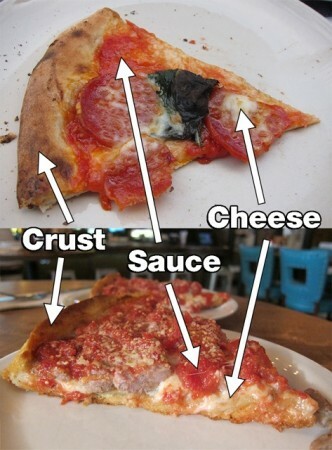 Moreover, until the critics crying about sauce on top start going after New Jersey tomato pies, it’s pretty clear the “sauce on top” argument isn’t actually one they believe. The only true pizza is Neapolitan. So this is the authenticity argument, which is almost always a dumb one to make when speaking of categories of food. Foods change, cooking methods evolve, and societies attaches different meanings to words. After all, there’s no outcry about “ketchup” (originally made from anchovies, mushrooms, and other ingredients) referring to a tomato-based condiment, “pudding” (a term that almost always referred to savory main courses until the mid-1800s) referring to sweet desserts, or “cocktail” describing a variety of drinks instead of—as was the case 200 years ago—only referring to drinks with bitters. 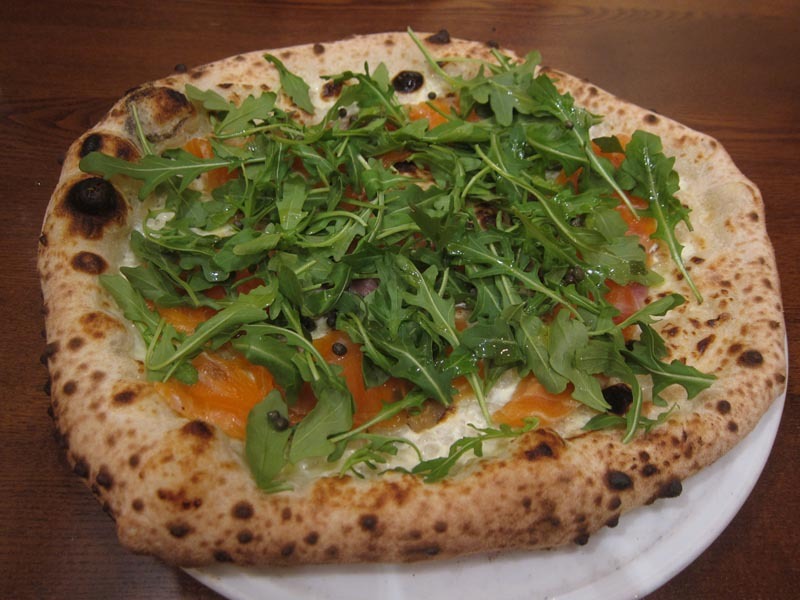 The authenticity argument, at least in the pizza context, is often based on the rules established by the Associazione Vera Pizza Napoletana (VPN). 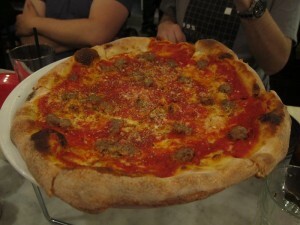 Leaving aside the absurdity of a self-appointed organization being the arbiter of what is true pizza based on a perceived historical snapshot of what members think pizza in Naples looked like in the late 1800s, the simple fact is that today’s rules were not followed in 19th-century Naples. Pizza was street food for the poorest people in one of the poorest cities in the world. The idea that anyone gave a crap about how finely the flour was ground or what tomato was used for the sauce is mind-bogglingly silly. The fact is, Neapolitan has never been the be-all and end-all of pizza (a lot more on this in a minute). The etymology of the word pizza has not been definitively resolved, but it is clear that there have always been innumerable versions of pizza, many of which have absolutely nothing to do with Neapolitan pizza. Before Italian unification in the mid-19th century, city-states developed unique foods that had little to do with one another, including various items that were called pizza. 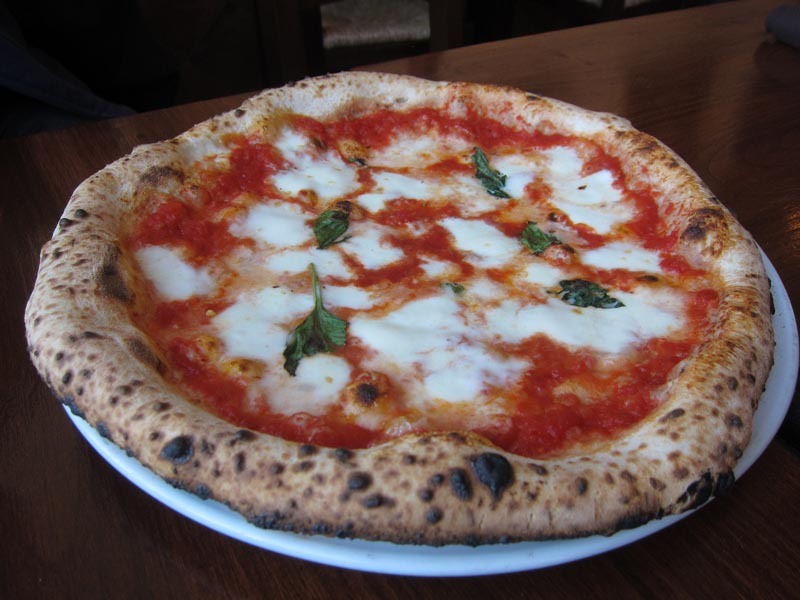 After unification, there’s no question that Neapolitan pizza became the most widespread in Italy and around the world, but the other pizzas didn’t disappear. Some of them even showed up in the U.S., a country that has since added several new styles to the world of pizza, from deep dish and Detroit-style to the still-to-be named artisanal bread-based pizzas at places like Andersonville’s Great Lake (R.I.P.) and California’s Pizzeria Mozza. The small but vocal crowd of people who say deep dish isn’t pizza tend to fancy themselves “pizza purists,” a phrase they’ll say with pride. These self-proclaimed protectors of tradition would be doing a fine public service if, in fact, there had ever been an accepted definition of pizza. But the fact of the matter is that pizza has never had a simple definition. While the etymology of the word is unknown, we do know that in Italy, the word pizza has been used to describe a variety of foods that would bring tears to the eyes of pizza purists if they saw it today. One of the oldest references to pizza came from Bartolomeo Scappi, a chef who served seven different popes in the 16th century In his 900-page, six-part tome Opera, Scappi described pizza as a Neapolitan pie with a marzipan crust and a filling of mashed almonds, pine nuts, dates figs, raisins and biscuits. Scappi’s pizza is hardly an outlier. Italian culinary history is littered with versions of pizza that had nothing to do with the 19th century Neapolitan pies widely praised as “authentic.” In the centuries preceding Italian unification in 1861, different pizza traditions developed across the Italian peninsula. 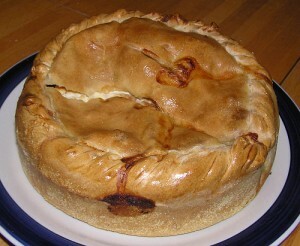 For example, in the province of Ascoli Piceno, pizza was a harvest food baked in a pan (a pan!) and made with egg, cheese, pepper and saffron. Other examples, listed in The Italian Academy of Cuisine’s La Cucina: The Regional Cooking of Italy (2009), range from Sicilian pizza (described as having a two-inch thick layer of dough that is placed in a baking sheet) to pizza piocara con cime di rapa (a double-crusted pizza from Lazio that’s filled with cooked turnip greens) and pizza con le noci (a rolled-up, egg-washed pastry filled with walnuts as well as cocoa, chocolate, sugar, cinnamon, candied citron, honey, raisins and rum). So why aren’t most us eating stuffed tomato-less escarole pizzas or some other unheralded concoction called pizza in the country that invented the food category, instead of descendants of Neapolitan pizza? Well, in some cases we are. Sicilian pizza remains fairly widespread, but some of the more obscure pizzas can be found as well. Erica De Mane, an American chef, food writer and cookbook author who specializes in Italian cuisine, writes in her book “The Flavors of Southern Italy” from 1991 of seeing Pizza di Scarola around New York City throughout her childhood. That pizza, which originated in Piedmonte, is a double-crusted pizza stuffed with anchovies, capers, olives, raisins and pine nuts. Around Easter every year, some old school Italian bakeries, including Scudiero’s in Melrose Park, make a double-crust concoction filled with meat(s) and cheese(s) as well as other goodies like hard-boiled eggs. It’s known by many names, including pizza chena, scarciedda, and Easter pie. Incidentally, the founders of Nancy’s and Giordano’s both claim to have based their stuffed pizza on their respective Torinese grandmothers’ Easter pies. 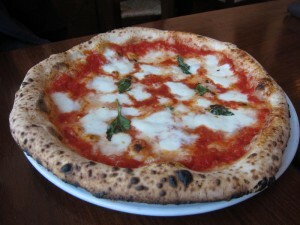 That said, there is no question that Neapolitan pizza and its descendants have dominated the American pizza scene. A definitive explanation as to why that happened requires more research than I’ve done and certainly someone who is fluent in Italian and can review primary resources from the early 1900s, but I have an educated theory. A wide variety of contemporary descriptions of 19th-century Naples, including ones from Alexandre Dumas and Carlo Collodi, note that the simple pizza—the one today commonly referred to as Neapolitan—was a staple in the diet of the lazzarone, Naples’ most impoverished people. It is difficult to overstate how poor the lazzarone were; there was virtually no chance of upward mobility at all. So, in the four decades prior to World War 1, more than 14 million Italians emigrated (a discussion of this trend can be found in Samuel l. Baily’s “Immigrants in the Land of Promise: Italians in Buenos Aires and New York City” from 1999). The ones who could return to Italy tended to do so, but that was a group that typically included those who had more starting out. Even in the U.S., the divisions between Italians remained. In fact, the U.S. Census Bureau even listed Northern Italians and Southern Italians as separate races. The net result of Italian emigration patterns meant that, in the United States, most Italian immigrants were southern Italians. And those from Naples brought their pizza with them. This VPN-certified pizza from Spacca Napoli features salmon, an ingredient not traditionally available to residents of Naples. Nobody knows who opened the first pizzeria in the United States, or when it happened. Popular lore holds that Lombardi’s in New York was first, but that’s demonstrably false. Lombardi’s opened in 1905, but the October 4, 1903 issue of the Boston Sunday Journal noted there were “occasional little shops” in the city and that Neapolitans’ passion for pizza was deeper than Bostonians for baked beans. 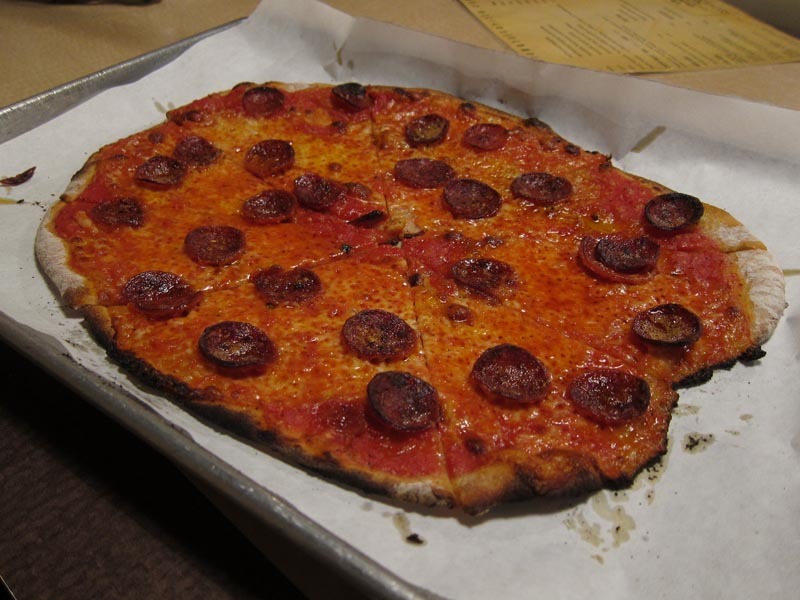 Given the reference to multiple shops and the common-sense notion that pizza was sold in Neapolitan neighborhoods in the U.S. about as early as bread was, there’s little doubt that pizza here predated Lombardi’s by a couple of decades at least. Almost immediately upon arriving in the United States, pizza began to change. For one thing, wood-burning ovens (a requirement for VPN-certified pizzerias) became largely a thing of the past, as coal was almost the exclusive fuel source. From the mass immigration of Italians until World War II, there isn’t much public discussion of pizza in the United States. It’s clear that the food starts to catch on, particularly in New York. A 1930 dining guide to New York, creatively titled “Dining in New York” and written by Rian James, directs readers to Moneta’s in Little Italy where “nearly everybody who is somebody goes to Moneta’s and has “the toothsome Apizza – that inch-thick potato pan-cake, sprinkled with Parmesan cheese and stewed tomatoes.” It’s certainly possible that that description wasn’t accurate, but by June 11, 1945, pizza was common enough in New York, or at least among the readers of the New York Times, that author Jane Holt described a recipe as being “somewhat reminiscent of the Italian pizza” in a “News of Food” piece. 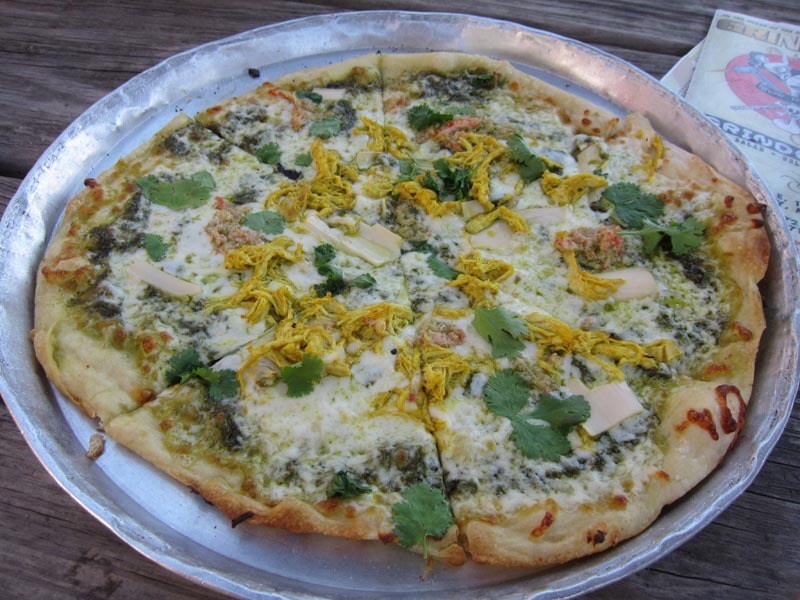 Everyone agrees this crab, tandoori chicken, green sauce, cilantro and hearts of palm-covered crust is still pizza. That said, enough pizzerias are still around from that era that it’s easy to see that pizza evolved essentially from the time it arrived in the U.S. Anyone who’s been to Totonno’s on Coney Island (opened in 1924), Frank Pepe Pizzeria in New Haven (1925), John’s Pizza in Greenwich Village (1929), or Santarpio’s in Boston (1933) knows that those places aren’t serving traditional Neapolitan pizza. Pizza was still food for the working class and there was nobody posting on the Internet telling the guys cooking it that they needed to be more authentic. In Chicago, the first mention of pizza in The Chicago Daily Tribune came on October 17, 1939, In it, June Powers describes Granato’s Pizzeria Napoletana on Taylor Street as the city’s lone pizzeria and said it had been open since 1923. 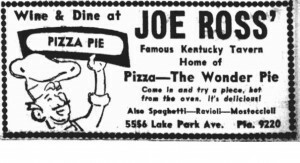 I’m not sure I buy that there was just one pizzeria in Chicago by 1939, but we do know that just a few years later pizza history would change forever. In 1943, Ike Sewell and Ric Riccardo opened what we know today as Pizzeria Uno (originally called The Pizzeria). Who actually created deep dish remains a mystery, but what is clear is that like the thinner non-Neapolitan versions of pizza developing in the Northeast, this Midwestern creation soon surpassed Neapolitan pizza in popularity. Pizza quickly moved from being a Neapolitan specialty food only available in certain neighborhoods to a widespread phenomenon that saw people eating cheese, tomato sauce, and optional toppings, all baked on top of a crust. 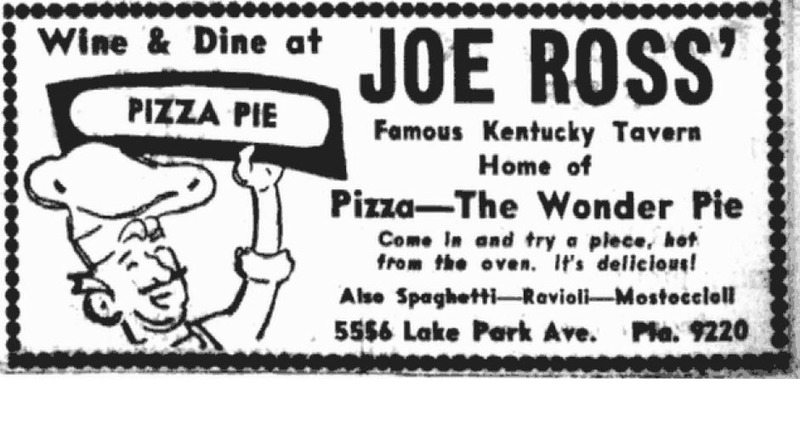 Hyde Park, never an Italian enclave, had pizza as early as 1945. And wait, it gets better. The New York Times-endorsed recipe calls for the sauce going on top of the cheese and for the whole thing to be cooked in a skillet. Six years later in the “Food News” column from April 17, 1953, Nickerson gave a much more traditional recipe that was adapted from a cookbook called “Italian Cooking for the American Kitchen.” The pizza tent was big and it was going to grow considerably. By July 29, 1953, The “News of Food” column in The New York Times passed along the rumor that there were already more pizzerias in the United States than in Italy, and Nickerson declared pizza to be “such a gastronomical craze that the open pie threatens the preeminence of the hot dog and hamburger.” Indeed, with the advent of frozen pizzas and the birth of chains like Pizza Hut (1958), Little Caesar’s (1959), and Domino’s (1960), pizza, in decidedly non-Neapolitan versions, spread from coast to coast. And to be clear, the country was fine calling every one of these versions pizza. Even New York, today the hotbed of pizza snobbery, embraced the changes. For the May 18, 1970 issue of New York Magazine, writers Milton Glaser and Jerome Snyder gathered a panel to crown New York’s best pizzeria. After declaring that New York was “the pizza capital of the world,” the authors revealed that their esteemed panel had selected Goldberg’s Pizzeria as the best in the city. Goldberg’s, founded by Chicago native Larry Goldberg, served deep dish pizza. Pizza is a beautiful thing that most Americans love and a few take way too seriously. The next time someone tries to tell you deep dish isn’t pizza, ask them to define pizza. They will not be able to come up with a definition that doesn’t exclude another universally accepted style. 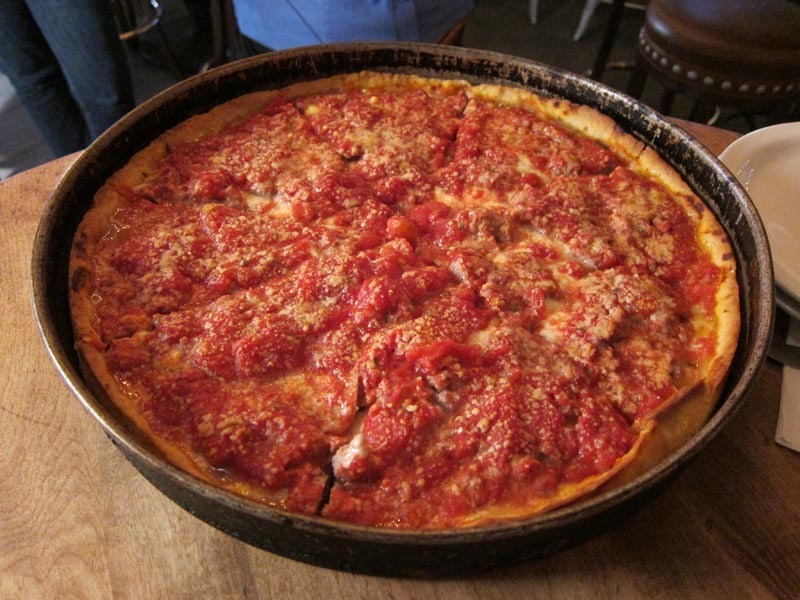 The reality is that the argument against deep dish is not one based in history or reason. It comes from bluster, ignorance, or a desire to be contrarian. Take pity on those people. And if you’re feeling generous, take them out for some deep dish pizza. There’s a pretty good chance they’ve never tried it. Daniel Zemans (MarlaCollins’Husband) occasionally overthinks pizza, craves burgers, and thinks most of the best foods are round. A lifelong Chicagoan and proud graduate of William H. Ray Elementary School, he currently lives in Ravenswood with his dog Phred. He’s never met Marla Collins.